Vacation Home and Income Producing Property? Buying a Vacation Home in Durango! 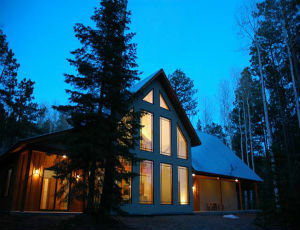 Many people have the dream of owning that vacation home in the mountains in Colorado. Durango may be just the location you are looking for. Before you think about buyer looking into your financial capabilities, talk to a local Durango lender about mortgage options and consider the tax ramifications of a second home. Check out investopedia, see links below for more information. Call me to discuss or for recommendations on great Durango lenders. Once you have a price range we can talk about potential rentals, income possibilities and of course the legalities of getting vacation rental permits in place. The City of Durango, like many other mountain towns, has started to crack down on vacation rentals, vrbos and airbnbs. There are rules and guidelines on how to get your rental permitted. Out of town may be easier for now as the permits are easier to get. Through April 10th downtown properties can get on a waiting list for vacation rental permits if you're in zone EN-1 don't wait. Please see the sources listed below or better, give me a call to discuss details and figure out if and how your vacation rental investment in Durango, Colorado can pay off.